It was summer so I knew it wouldn’t get dark for a few more hours. Besides, it’s dark in a cave anyway right? 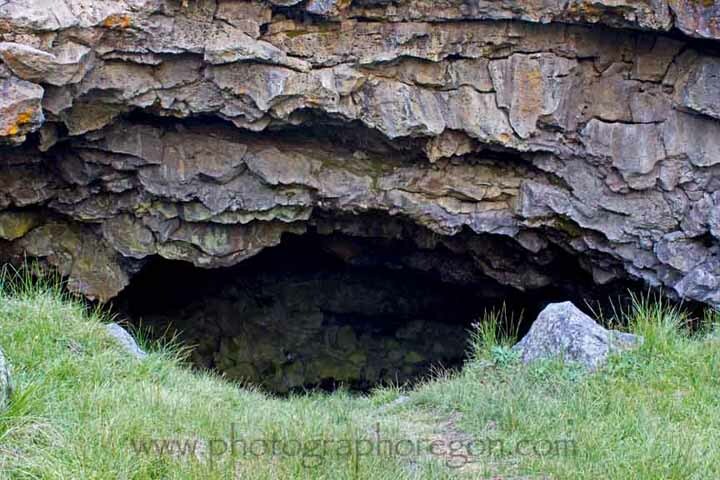 I drove up expecting signs and a big cave mouth. There seemed to be a fenced (and by fenced, I mean railing) around a section of the parking lot. I grabbed the second half of my Subway sandwich I was saving for dinner and decided to check it out. That, it turns out IS the South Ice Cave. 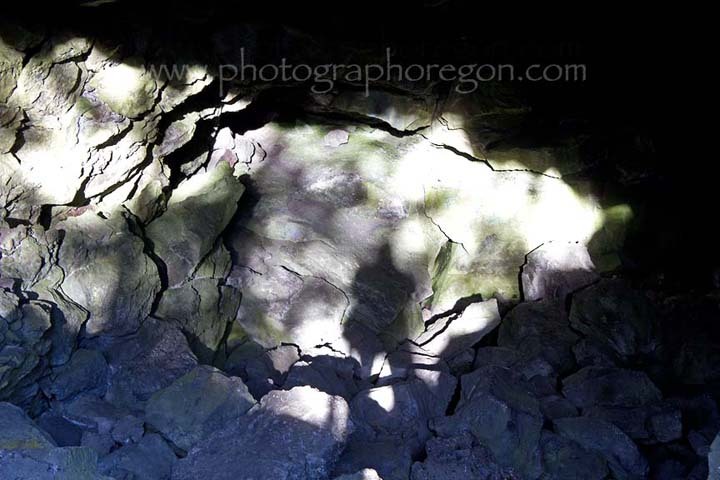 It looked kind of foreboding, a dark yawning hole in the side of a pit of giant rocks, really, BOULDERS. Little yellow-rumped warblers were flying around from tree to tree warning me not to go in there alone. 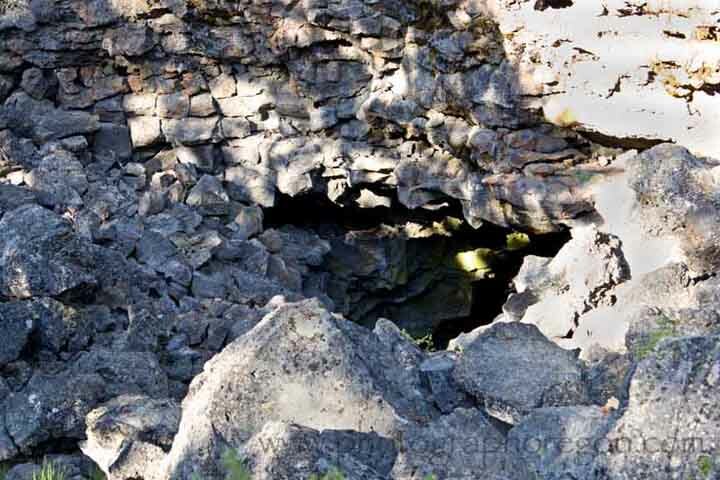 I sat on the rim and ate my sandwich staring at the mouth (maybe with teeth) of the cave. I stood at the front of the cave. Now, did my friend say the opening on the right side had the cool ice pool and you didn’t have to crawl through holes? Or was it the left side opening? This right side has HUGE boulders and now I realize my light source is weak, actually BOTH of them are. A little female yellow-rumped warbler jumps up and down on a branch in front of me and screeches….”You are NOT going in there ALONE…right? …….and right here, I realize, no, I am not. I have never been in this cave. 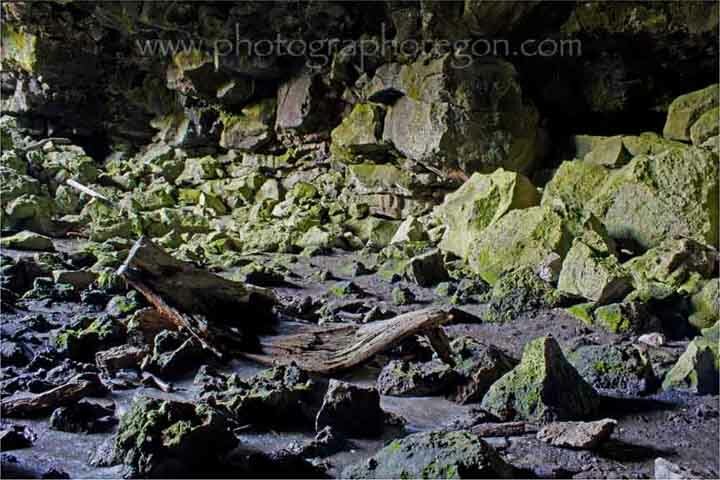 I know little to nothing about caving and I am alone. (I should now add this info to the safety page.) DO NOT CAVE ALONE. Period. I call Grandma and my husband to tell them I’ve grown chicken feathers and a brain. 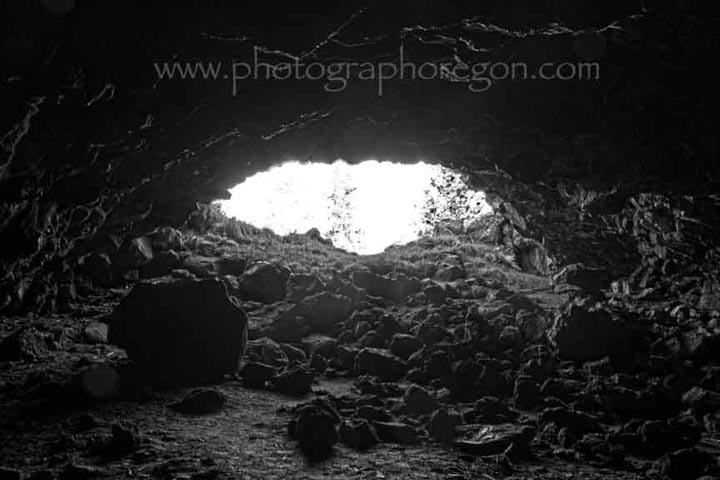 …….and I wander over to check out the left side cave opening. I am pretty sure now that this left cave is the one that you have to crawl through some tubes in the back to get further in, THAT, is certainly not happening. The cavern section itself looks fairly harmless (yes, I could fall or something but I can and have done that on my front porch) and I can possibly redeem myself with a few images. I escape with myself intact and a healthy respect for the cavers…..I’ll come back another day with my husband so we can go find the ice pool in the right side caverns of the South Ice Cave.